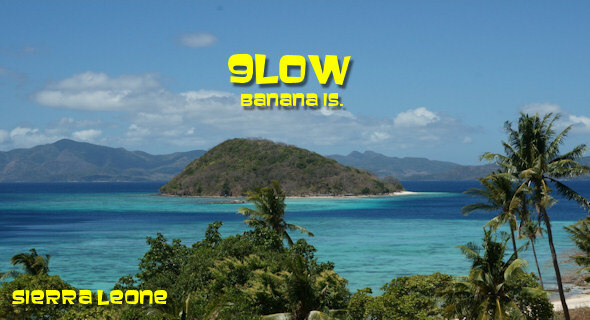 From Nov. 22 to Dec. 03, 2011 will be active from Banana Islands – Sierra Leone – a team of German operators composed by DK2WV Karl-Heinz, DJ8NK Jan, DL5CW Andy, DL9USA Andreas and DJ9RR Heye. IOTA reference of Banana Islands is AF-037. During their stay in the island will participate to the CQWW CW Contest 2011. MDXC supports 9L0W operations with their official website including online logbook and propagaion charts by IK8LOV, courtesy of DX-World. QSL for Members via MDXC QSL-service. Vielen Dank für den 1sten Kontakt mit Sierra Leone! Ist es dir möglich meine qrz seite anzuklicken? Ich sammle die Länderflaggen. Thanks a lot for a new country and new IOTA!!! 73!Good luck! Thanks for the 60 meter QSO! Great to see you on that band. Wish more DXpeditions ran 60 as well.